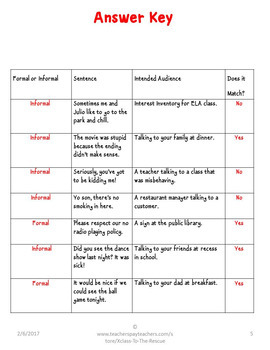 I've always had a lot of difficulty with my students using slang and text or informal language in their ELA work. I devised this handy worksheet to help students understand the difference and when it is appropriate to use each type of language. 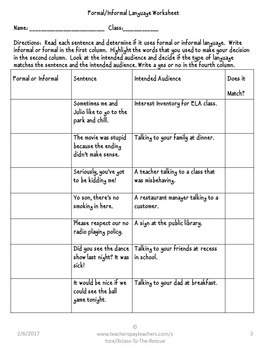 In the worksheet, there are a set of scenarios with an intended audience for each. 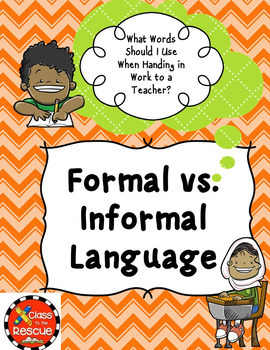 The students have to decide if the language is formal or informal and then if it matches the intended audience. 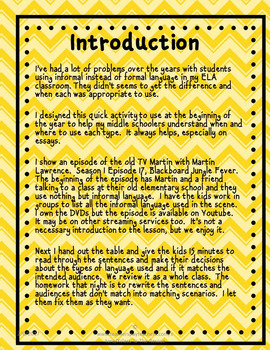 An extension activity for homework is also included.